Each job site is unique and may require more than one type of service. 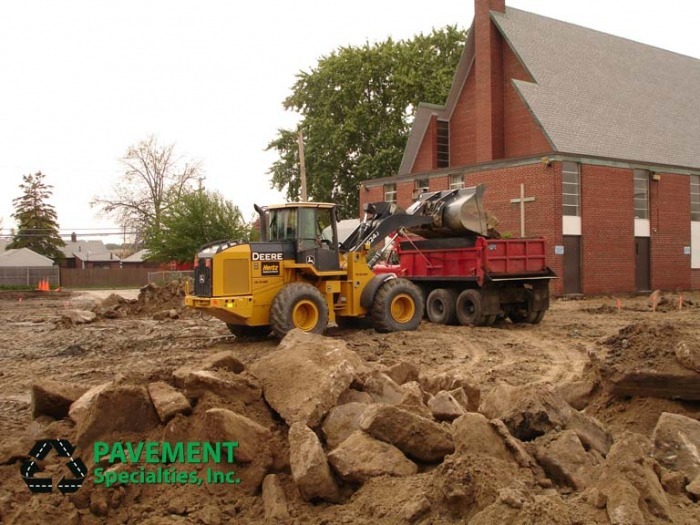 After we carefully evaluate your site, our years of experience with both traditional paving equipment and the latest in asphalt recycling and restoration, will determine the best equipment and processes for the job. Our company president, Martin O'Connor and foreman, Philip O'Connor, have over 40 years combined experience in the Asphalt Paving, Recycling and Restoration industry. 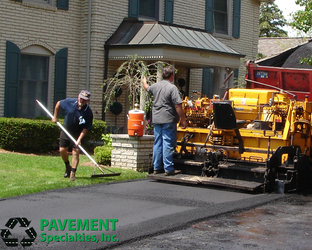 Our crew is expertly trained and experienced in all facets of asphalt paving and restoration. Our goal is to give our customers the best value, the best looking, and the longest lasting new or restored asphalt paved surface possible. We will treat your road, parking lot, or driveway, like it was our own. Prepare the site by excavating the earth for profile and drainage, grading a strong gravel base layer, then applying the asphalt surfaces for long lasting function and beauty. Careful evaluation of the site will determine if, where, and how an asphalt layer will be installed to create a like-new parking lot, driveway, or road. A pulverization machine grinds up the full depth of the existing asphalt surface, leaving a crushed aggregate base behind. The crushed material is then graded in preparation for the fresh asphalt to be laid. 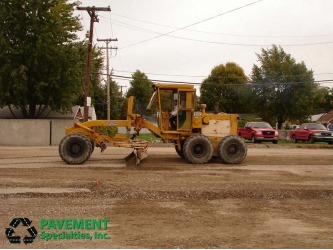 A milling machine grinds up and removes a specified depth of asphalt surface. This allows a portion of the road or parking lot to be re-surfaced yet still maintain the original profile of the site. There are times when an existing asphalt surface can’t be restored. Usually when the surface and/ or the base are too old or have been jeopardized in some way. In these cases, the old asphalt is dug out and hauled away. The site is re-excavated and graded in preparation for a new asphalt surface. Precisely paint parking lines or other specified traffic control markings on the completed paved surface. 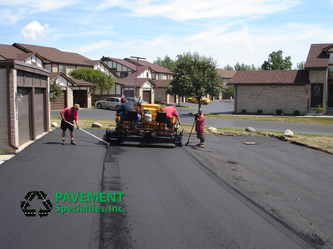 Many paving jobs require repairs as part of the complete site plan. We are the only company in Michigan with 3 Patch Master Machines and crews. The Patch Master is a hot-in-place asphalt recycling and repair system. 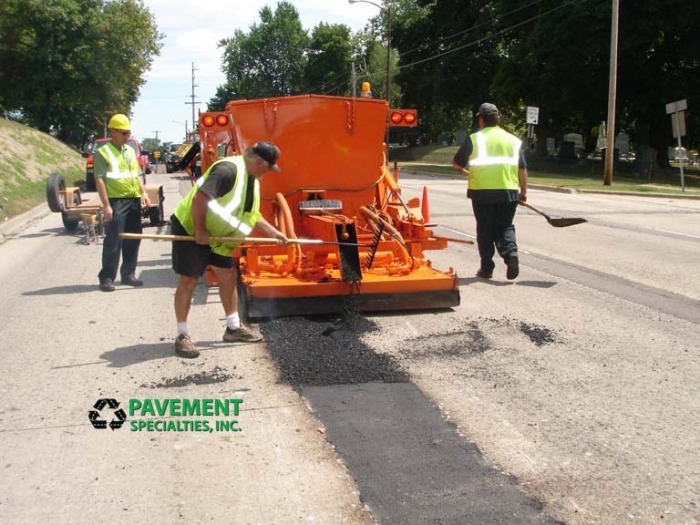 Learn more about the Patch Master and the thermal bond repair method on our Asphalt Recycling and Repair page. 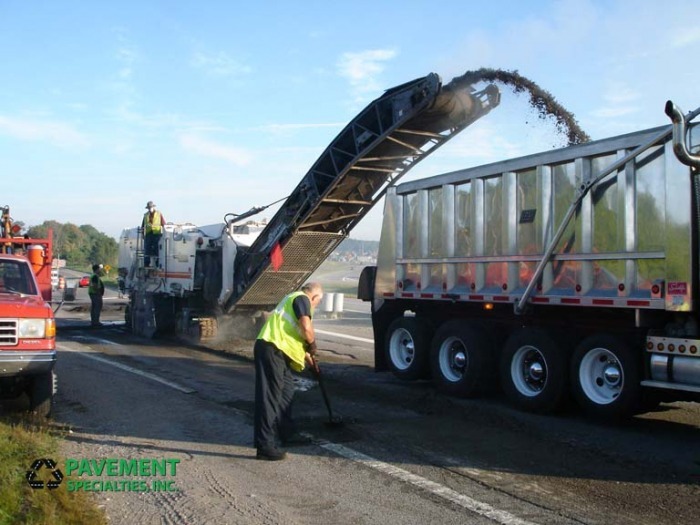 Learn more about preserving and protecting your asphalt surface on our Asphalt Maintenance page.